Fig 1 from Fogo et al AJKD, © National Kidney Foundation. The NOS variant is a diagnosis of exclusion for biopsies in which no other diagnostic category is suitable. On the other extreme, the presence of a collapsing lesion, defined as segmental or global collapse and overlying podocyte hypertrophy and hyperplasia, is a trump card which overrides all other lesions. The tip variant, defined by adhesion of podocytes to parietal or tubular cells at the origin of the proximal tubule, should not be diagnosed if there is perihilar sclerosis. Conversely, cellular or tip variants take precedence over the perihilar variant. According to the published classification, the cellular variant, defined by endocapillary hypercellularity with luminal occlusion, should not be diagnosed if there is a tip lesion. In other words, the tip lesion takes precedence over intracapillary cellularity, including the presence of inflammatory cells. These guidelines require additional data to confirm their clinical validity. Most tip lesions are free of inflammation, and whether the associated good prognosis remains true if lesions with intracapillary inflammation are included in this category remains uncertain. 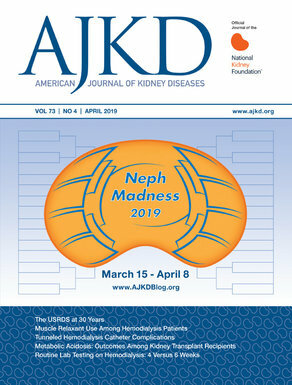 To view the related installments on FSGS (freely available), please visit the Atlas of Renal Pathology II at AJKD.org.